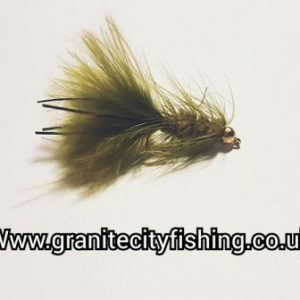 The Woolly Bugger has to be one of the most versatile and productive trout flies around. 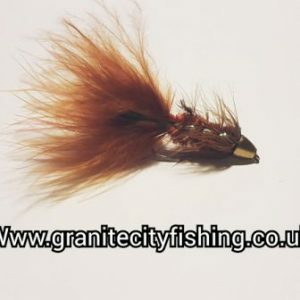 Our woolly bugger flies are tied with a marabou tail and a flash for added sparkle. The marabou tail and in most cases a palmered body suggest succulent lava, tadpoles or leeches. Drag the woolly bugger flies across the current in front of some trout and this fly becomes a killer. The Goldhead Woolly Bugger trout fly is a great modern streamer pattern.